Take time this long weekend to enjoy nature’s ever-changing bounty this month. 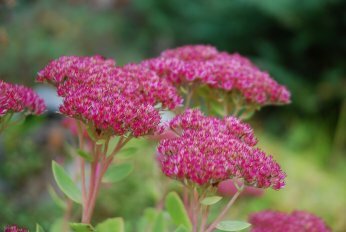 How appropriate the common name for this succulent in my garden is Autumn Joy! We recently introduced some Fun NEW products for Fall! Browse our hot link for New Stuff. Take advantage of our promo discount Code saving you $14! Applicable on new items or towards 4000+ products on our website. Valid on orders of $70 pre-tax or more. This offer has been EXTENDED to midnight Thurs. Oct. 11th! 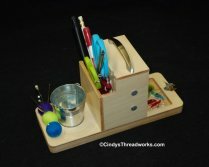 Cindy’s Threadworks on-line Shoppe is OPEN NOW! 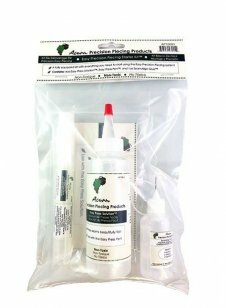 Our Starter Pack @ $29.99! Include in $70 order & take $14 off! New Collage Method & Patterns! 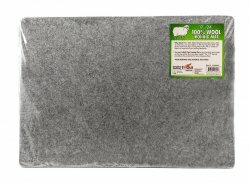 Felted Wool Iron Mat, Larger Size! Include in $70 order & take $14 off! 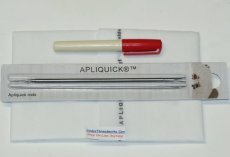 Take $14 Off with FALLFUN Code Apliquick Kits & Supplies--Great Price! 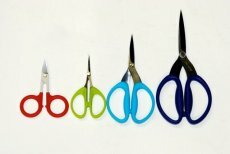 3-hole Scissors BEST Price Ever! BEST Price Ever with coupon discount! Superior Threads, Aurifil, Presencia Perles for hand stitching & sashiko kits. Join the Big Stitch Trend! *BEST BOBBIN Threads for collage type techniques is The Bottom Line, especially neutral tones. *BEST TOP Thread suggestions for collage projects: SoFine, Bottom Line, MicroQuilter, Monopoly. *BEST NEEDLES for quilting, collaging, piecing, embroidery: Superior Titanium-Coated Topstitch. Why? They stay sharp practically forever & their bigger eyes are friendly with ALL thread types. Link to: Thread Therapy/Needle Article. *BEST SCISSORS for appliqué, wool, trimming, all-purpose: our Karen Kay Buckley Scissors! Quick shopping links for favourite threads & supplies. Reminder: $14 OFF FALLFUN Promo Code Expires midnight THURSDAY, Oct. 11th. Upon Checkout Insert FALLFUN Code in Box when you spend $70 pretax. If you don’t see your discount immediately you haven’t activated the button. Click it! Contact us anytime with queries & whenever you need assistance. Your orders are posted daily Monday to Friday. 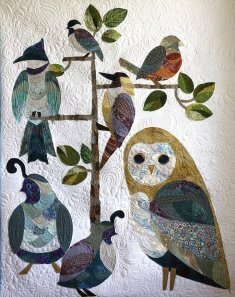 Happy Quilting, Stitching & Fall Shopping! Why? because we have surprise Give-Aways you should know about!